I’m installing new gas pipes in a house. These pipes are under low pressure and (of course) they have to be completely sealed. To make sure that they are safe they are filled with air at 25 PSI. 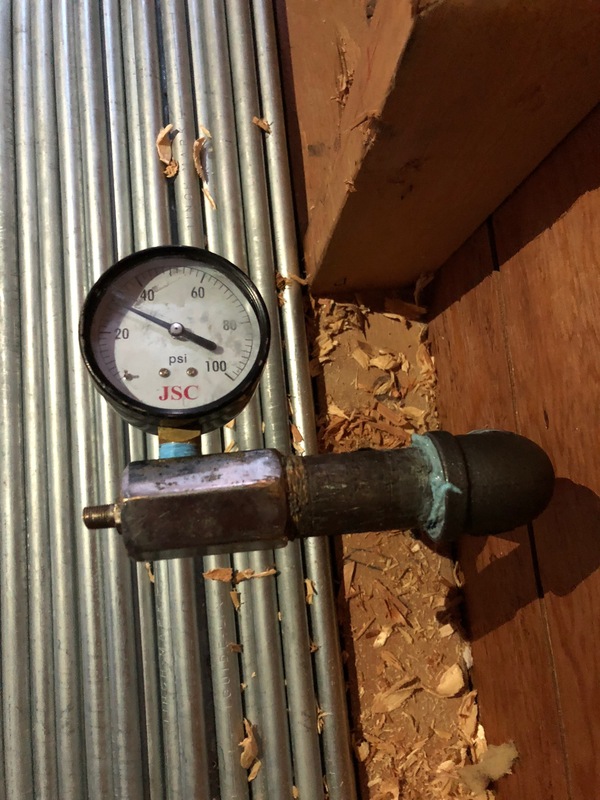 A pressure gauge is attached and monitored to make certain that there are no leaks. No one wants a gas leak in their home. I recently had a rough plumbing inspection that included checking the black pipes (gas) in the house. I was surprised when the inspector asked me to depressurize the system. “Why?” I asked. He told me that he once had a plumber who deliberately used a defective gauge which erroneously showed 30 pounds. By letting out the pressure he could confirm that my gauge was fully working and that the system was sealed properly. Of course, that was the case. It is scary what people will do to save a little time. I always try to do my very best for my customers. If you need a free quote for any remodeling job, feel free to give me a call.